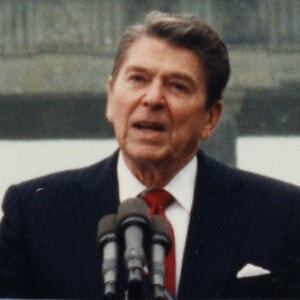 A child of the Depression; a veteran of Hollywood; a defeated candidate – and one of the most popular presidents in American history, Reagan knew of what he spoke. Typed Letter Signed, as president, 1 page, quarto, The White House, Washington, January 5, 1984. To the Honorable Timothy A. Curtin in Forest, Ohio. With typewritten transmittal envelope. Abraham Lincoln Comforts His Campaign Manager After Losing the Senate Race: "And This Too Shall Pass"